Nibret is eleven -- and they're marrying her off to a man she's never met. 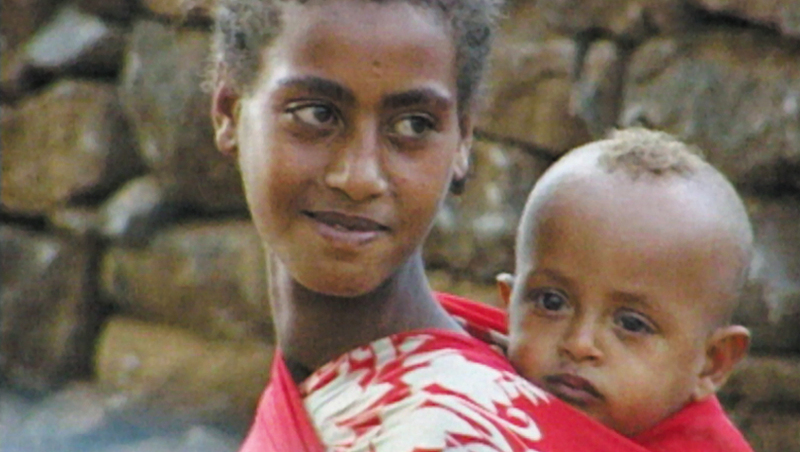 Forced marriage isn't unusual in northern Ethiopia. It helps to cement ties between families and establish land rights. Besides, claim Ethiopian scholars, there are no schools for young women, so why not marry them off early? It's a view shared by some Islamic leaders in northern Nigeria. They believe women's role is to comfort men, and see nothing wrong with marrying girls as young as seven, often in polygamous marriages. This program reports on the dissonant voices arguing for change in local cultures -- and the calls for reproductive health care and primary education for women. Does widespread discrimination and violence against women now constitute a violation of human rights on a massive scale? Editors, Richard Guard, Julian Sabath; executive producer, Jenny Richards; series producer, Luke Gawin; series editor, Robert Lamb.